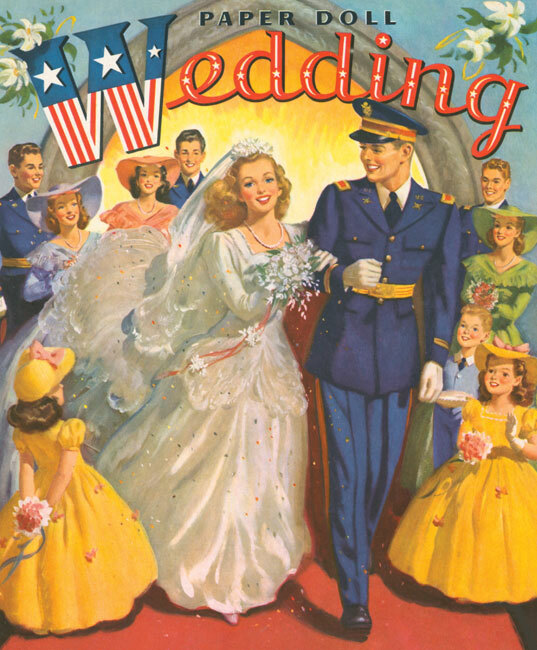 Wartime weddings brought much-needed moments of happiness and were joyfully celebrated. 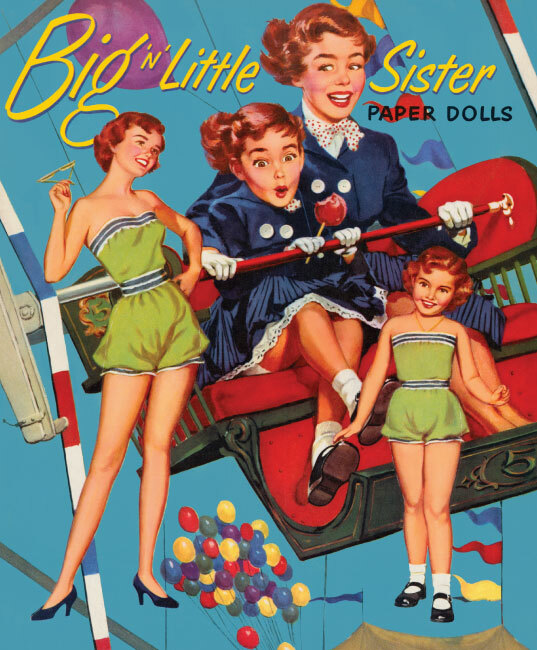 This lovely, romantic paper doll book was originally published in 1944 and has been beautifully restored and reprinted by Paper Studio Press. The entire wedding party is there; bride and groom, maid of honor and best man, bride's maid, two flower girls and a handsome young ring bearer. 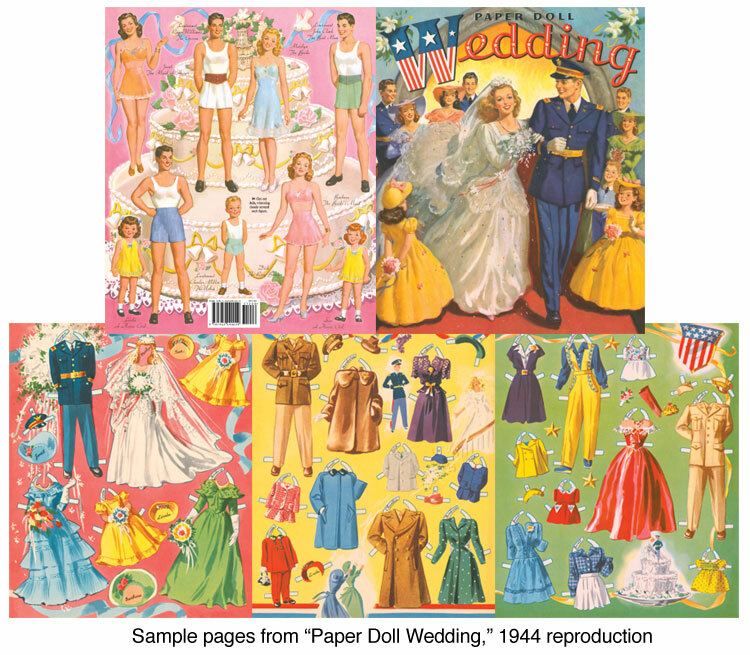 Eight pages of fashions turn back the calendar more than 70 years with charming gowns for the wedding day and a 1940s wardrobe of dress-up and casual wartime fashions for all nine paper dolls. The men are all lieutenants in the military, with uniforms for the ceremony. 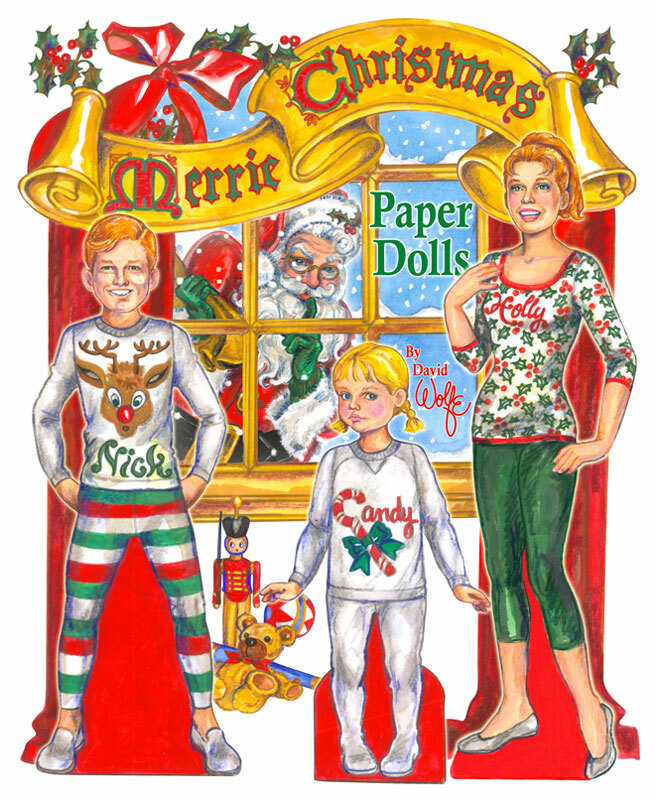 There are over 100 fashion items to cut out and dress on 9 dolls (most dolls around 6 inches high). 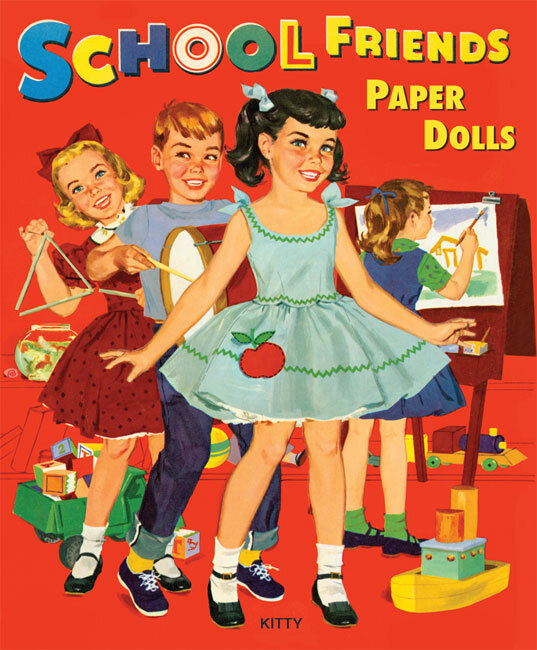 This vintage book is a treasure with every page a work of retro-fashion art including little vignettes and decorations on every page to add a note of nostalgia.